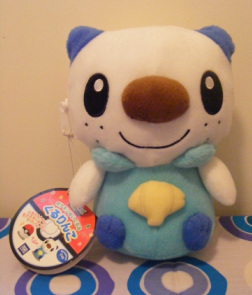 Originally, these were thought to only be Daisuki Club prizes, and Daisuki Club prizes are HARD to get. And I mean HARD. 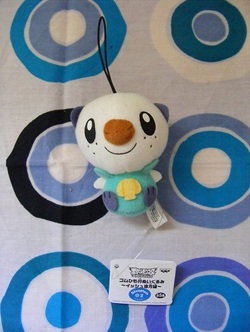 But it turns out that these were going to be for direct sale in the Pokémon Center, so everybody REALLY lucked out! This guy is so soft, and SO BIG! 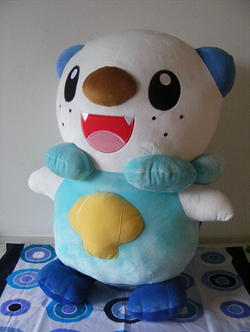 not as big as the PC plush above, but still, this one is one of the bigger Mijumaru plushies out there. 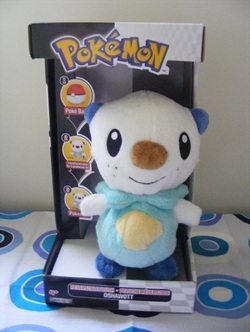 When I first saw the poster announcing the starter pokédolls, I literally fell to my knees. In the middle of a group of small, Japanese children. In the Pokémon Center. On a Saturday, of all days. 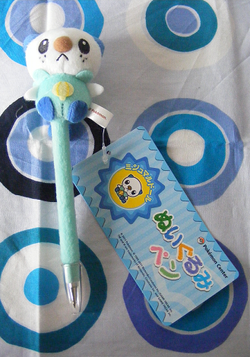 Q: Crazy Miju Girl, why did you give a name to your pen? Yay! 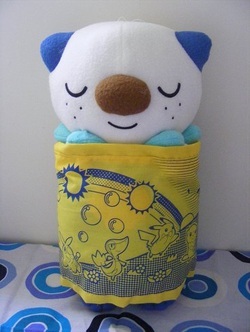 One of Mijumaru's very first plushies!! The excitement! The drama! Tune in Thursdays at 7:30 P.M.!!! He is so named Gibs because he stands very very tall. Just as someone named Gibs should. YAY FOR PUPPETS! 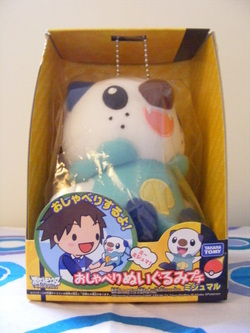 I can make Mijumaru puppet shows and entertain everyone! I have two of these! 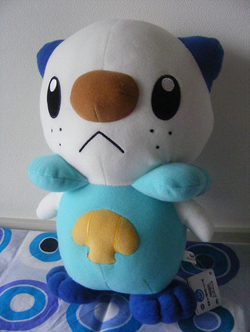 But this one is very special, because my friend won it and decided to give it to me. ;;;;;U;;;;; Thank you, Tails!! 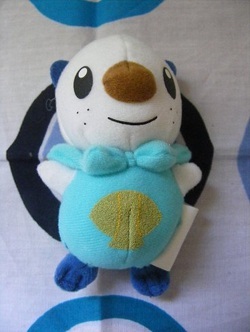 This one was the last Jakks Plush I found, and when I did find it, at 2 A.M. in a Walmart, with one lady standing next to me, I let out a SQUEEEEEEK of success. 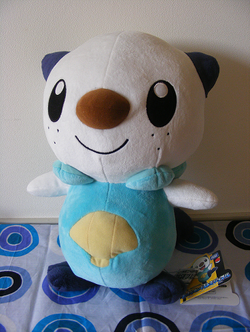 THIS PLUSH IS THE CUTEST THING EVER. OMG I NEED LIKE 200000000000000 OF THESE. Originally, this guy had a mis-spelled name on his tag. Spelled 'Oshawatt'. 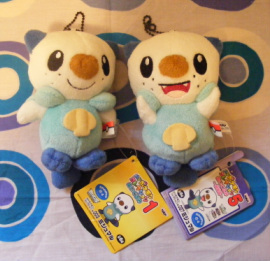 I have two - one was given to me by my good friend sheimimomo, while I bought the other. Thank you so much for ripping off the correction tape, sheimimomo, so the world could know of the crossed out Oshawatt. 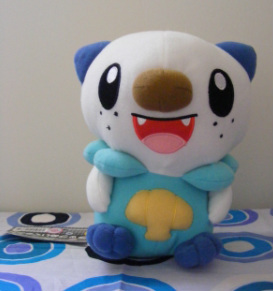 I won this guy in a lot with a Mijumaru pouch!!! =DDD What could be happier than winning a lot of Mijus? 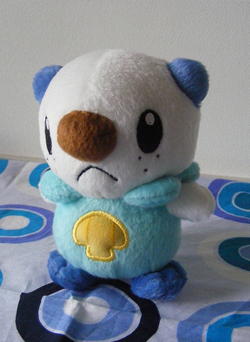 I swear I need more than one of every otter, but this one especially! Who wouldn't want to have an otter clinging to their back, huh? Have a look at the entire line below! 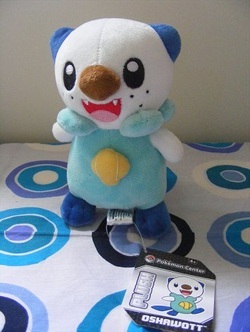 I didn't know about this plush until a few days before leaving Japan! 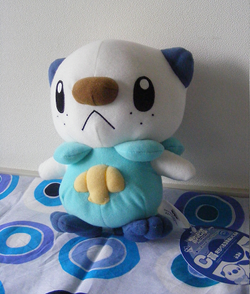 I read about it and found out it was only avilable at 7-11 Stores, so I went on a search for him! 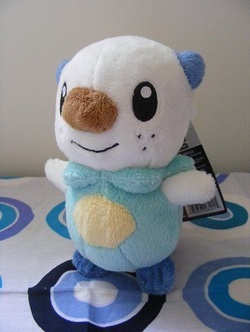 What is it, ALWAYS, with Christmas plush being released in October? Why not late November? Is it because of New Year's? Because the New Year's Promos at the PC are big, but not THAT big. Or maybe I have a lack of understanding on this. HOW did they get my favorite colors in the EXACT pattern AND shade I'd want them? HOW DID THEY DO THAT?! THIS GUY! 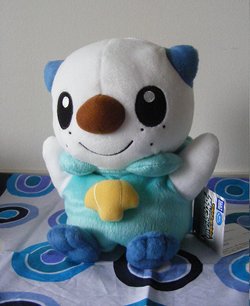 He's my FAVORITE plush Banpresto has made so far!! Usually they aren't too soft, BUT THIS ONE IS MAGNIFICENT! =DD And SO cute and round and FAT!! 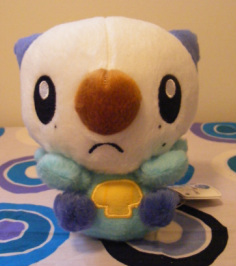 YOU CAN HOLD HIM IN THE PALM OF YOUR HAND OMG GAIZ HE IS SO ADORABLE AND SOFT AND AHHHHHHHHHHHHHHHHHHHHHH!